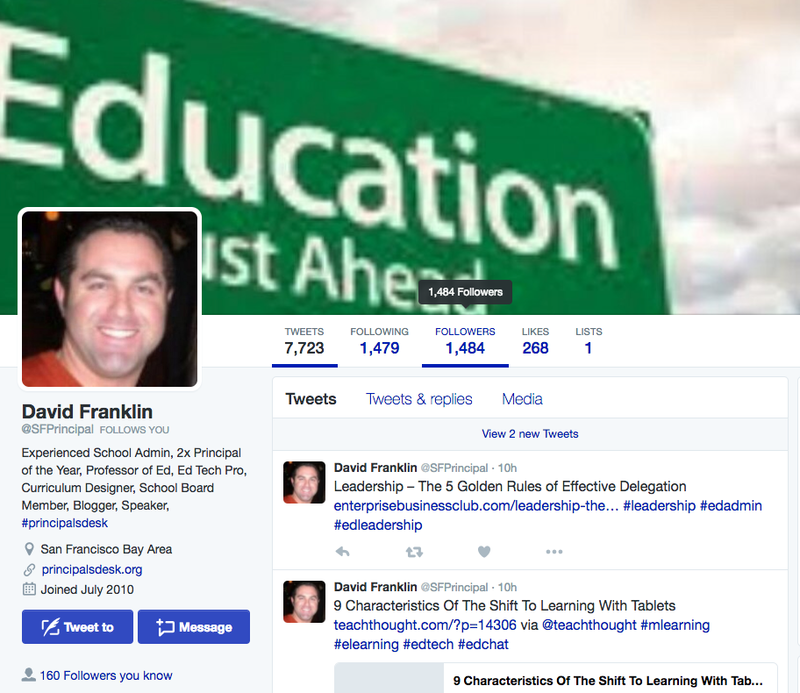 "I use Twitter to grow a professional learning network and to share ideas with educators across the world. Social media has giving me the ability to have access to great educators from all walks of life. If my content can add to someone's toolbox, then that is just an extra bonus."